Technology support is critical to the success of businesses, but investing in these solutions presents an entirely different problem--whether or not your business can afford an in-house support team. Depending on the budget, businesses often find themselves investing in IT support that’s both counter-productive and costly. 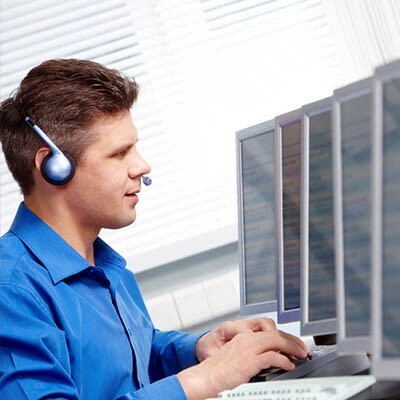 We’re here to tell you that remote support and a help desk solution can mitigate costs and help you achieve a higher return on your investment. Is technology a major problem for your organization? If so you’re just like many small businesses out there that think they can’t afford proper IT maintenance and management. Thankfully, managed services threatens this misperception by bringing affordable preventative solutions to the table. Your business offers a unique set of products or services for your chosen service area. You’re an expert in your field, but there are other parts of running a business that you may not excel at. Part of hiring new employees is shoring up weaknesses in your own business model, but why not achieve the same result by outsourcing these responsibilities to a third party? The latest technology solutions can provide incredible assets to your company, but they can be difficult to leverage properly if you’re not a professional technician. As the owner of a small or medium-sized business, you have an important decision to make: outsource your IT to talented professionals, or hire in-house IT technicians. More often than not, it’s more budget-friendly to outsource your IT. Technology management is a major pain point for small and medium-sized businesses. Some organizations might have an in-house team dedicated to handling all of the technology maintenance and management while others will choose to outsource this responsibility to a managed IT service provider. While going with an MSP for your business’s IT needs has its advantages, it also presents a unique set of challenges that must be overcome. Tip of the Week: What if We Told You That You Can Improve Productivity AND Save Money? For a business to prosper, there has to be more than a casual consideration of the expense report. Most businesses do their budget yearly, but some smaller organizations have gone to a three-month (or quarterly) budget to improve their ability to be more agile with their capital. There are times, however, where no matter what you seem to do, expenses outfox profits and your company has to take a hard look at what they are going to do to right the ship. The advantage of managed IT service is that it allows businesses to secure the IT support they need, without having to take on the responsibility and expense of managing these services. When coupled with the development and deployment of computing resources, it becomes clear that outsourcing IT is the smart way to go for small to medium-sized businesses looking to do more for less. What Would You Pay to Get Managed IT Care for Your Car? How do you approach computer maintenance? Even if you don’t understand the intricacies of computer repair, you still have to somehow maintain your equipment. For IT maintenance, outsourcing is the best way to go about it. Wouldn’t it be nice if this kind of maintenance was available for more of life’s things? As the owner of a small or medium-sized business, you know how much responsibility rests on your shoulders. Your resources are often spread thin, and a twelve-hour workday is a regular occurrence. If this sounds familiar, you know how tough of a balancing act it can be, especially when you’re trying to maintain quality customer service. Managed IT services can take technology issues off your plate so you can focus on better serving your customers. Nobody likes it when something is overly complicated, and IT is no different. Keeping your operations simple can reduce the cost of doing business, minimize the error margin, and bring more people into the loop. Your IT infrastructure is the heart that pumps the life blood of your organization, and if you keep it simple, you'll find that most common business issues can be resolved much more quickly and efficiently. We're just about to roll into a weekend, which to a lot of employees (and hopefully some business owners) means a little bit of relaxation and freedom from the day-to-day grind of business - not that it's all THAT bad, but it's nice to step away for a while, right? We know what it's like running a business. Sometimes you simply can't unplug, step away, and be free. There's just too much to worry about, and not enough time in the day. Business owners often sacrifice that little bit of freedom the weekend brings (when you should be spending time with family, recharging your batteries, and preparing for yet another Monday). We have a few ways to help you free up more time. Some things are controversial and have multiple sides to them, just as multiple people have different types of personalities, or methods of solving problems. This is also the case with every IT department. IT departments have a lot of expectations to meet - they need to maintain IT infrastructure as well as implement new money-making solutions. It's as if your company is a road with two lanes - one for the slow, and one for the fast. How's Your Memory? Is it Costing Your Business Time and Money? Server issues can turn into major problems for any business. This is why it's imperative that server issues are resolved as soon as they're discovered. Even a common problem like memory failure can..umm..do..something...oh yeah! An issue like memory failure can hurt operations by causing downtime. In high school, there were always the rebellious kids who never wanted to do what their teachers said. They would vandalize the bathroom stalls, walk around the halls without permission, skip classes, and make the school an overall unpleasant environment. The teachers eventually decided that enough was enough, and they banned certain privileges that the students had. Bathroom breaks became timed. Hall monitors stalked the halls looking for troublemakers. Our liberty was stolen by these hooligans. Technology is showing up in unexpected places these days, like kitchen appliances being connected to smartphones and wearable tech enveloping people's bodies. These fun technology trends make life easier, and it is advantageous to get in early on these trends. Technology is also showing up in new and unexpected places in the business sector. Are you up on these tech trends?